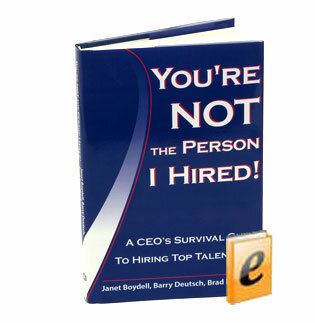 This book is now in the hands of over 30,000 CEOs, executives, and managers around the world. Every one of those hiring executives and managers have dramatically improved their hiring process. Click the link below to download the book, start learning, and immediately begin to make better hiring decisions. Download a FREE set of Compelling Marketing Statements or Success Factor Snapshots to transform your hiring process. Click this link to view our FREE examples, samples, and white papers. We'll take our research of the mistakes that CEOs and executives make in selecting recruiters and benchmark your recruiters. Click this link to take our FREE Recruiter Benchmarking Assessment. We'll conduct an briefing for your management team on how to define success, find great talent, conduct an effective success-based interview. Click this link to schedule your FREE Management Executive Briefing. We'll conduct a FREE review of a Compelling Marketing Statement that you've created. 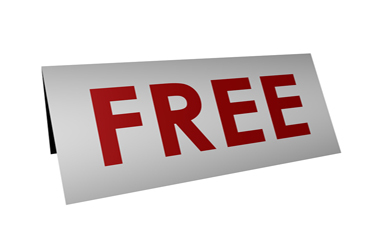 Click this link to get your FREE Compelling Marketing Statement Review. We'll conduct a FREE review of a Success Factor Snapshot that you've created. Click this link to get your FREE Success Factor Snapshot Review.